Comics Experience Blog: Comics Experience - C2E2 Report! 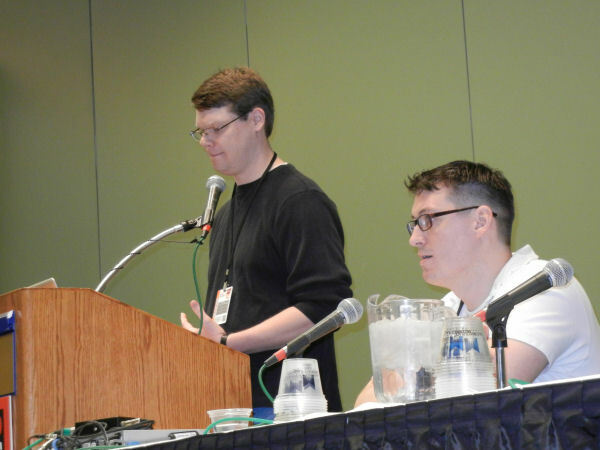 The 2012 C2E2 Convention was another great one for Comics Experience staff, alums, and Creators Workshop members! On Friday, Comics Experience founder Andy Schmidt (former Marvel and IDW Editor) and our art instructor (and pro penciler) Robert Atkins held two art-focused panels: Comic Art and Storytelling and Building Your Art Portfolio. In the Storytelling panel, the panelists discussed the elements of "Visual Success," from communication and action, to dynamics. There was also conversation about how to "read without words," the concept of active reader participation, and even the topic of photo reference. You can read a more detailed account of this panel on CE alum Joe Sergi's Cup of Geek website. In the Portfolio panel, Andy and Robert discussed all the ins and outs of building and showing your portfolio -- what to include, what to exclude, and even how to physically present it! Also, quite a number of Comics Experience alums were in attendance, and several were exhibiting, including Amy Chu (alum & Workshop member) showing off Meridien City (1 and 2 in one volume!) and Girls Night Out. And artist and alum Carl Peterson was another member displaying his artwork in Artists Alley! Of course, no major convention would be complete without a Comics Experience meet-up, which took place Friday after the panels. 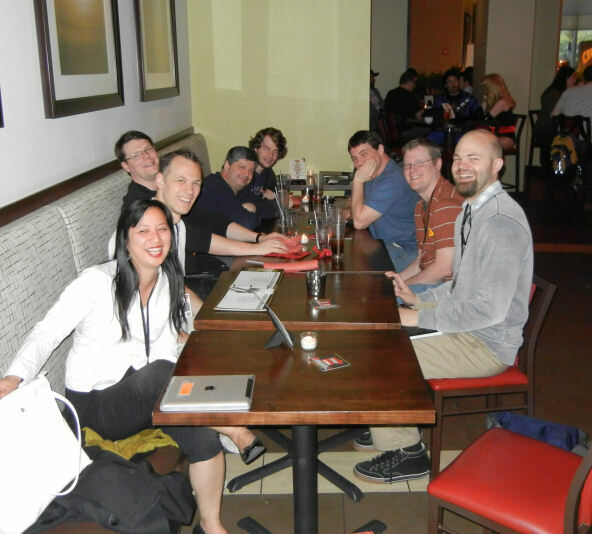 The meet-up was attended by (clockwise, from left): Amy Chu, Jim Murray, Andy Schmidt, Joe Sergi, Brian Gilman, J.D. Oliva, Craig Schmidt, and Carl Peterson, as well as (not pictured here) Robert Atkins and Paul Allor. We hope to see you at the next convention!